Today little remains of Southwick Priory set up by Augustinian canons. Today's remains consist of a wall and a small amount of other ground level items, located at the edge of a wood overlooking a golf course. Although an English Heritage site, its not signposted and does not appear on their website, although it is in the members handbook. Across the golf course other remains of something can be seen, and this may be other fragments of the priory. In its time it was a place of pilgrimage, where pilgrims mention 'Our lady of Southwick' which was the name of the monastery or church, but must have been more than that, I presume was a large statue. The monks at this site relocated from their earlier site within Porchester castle. I visited the site just prior to visiting Porchester Castle that has full height roman walls, castle remains, and the church that was a part of the Abbey there, within its grounds, still used as the parish church. In 1133, Henry I founded a priory of Austin canons in the church of St. Mary, Porchester, within the walls of Porchester Castle. The foundation charter gave to the canons the church of Porchester, timber for fencing, building and fuel, common pasture in the wood of Hingsdon, the manor of Candover and a hide of land in each of Southwick and Applestead. 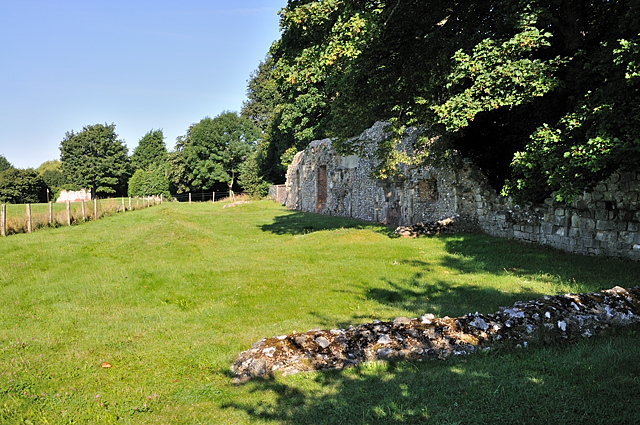 By the early part of the thirteenth century the priory is referred to in charters as Southwick Priory and it is believed to have moved to the site in Southwick c.1145-1153. 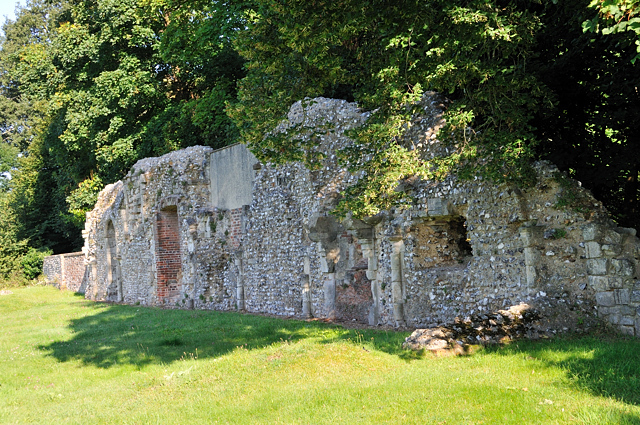 Towards the end of the middle ages, the priory became a renowned centre of pilgrimage. In September, 1510 Henry VIII passed through Southwick and made an offering of 6s. 8d. at Our Lady of Southwick. In 1538, shortly before the suppression, John Husee, a solicitor and servant of the Lisles, wrote to Lord Lisle that Pilgrimage saints goeth down apace as Our Lady of Southwick, the Blood of Hales, St. Saviour's and others. And Leland mentions the fame of the pilgrimage to Our Lady of Southwick. 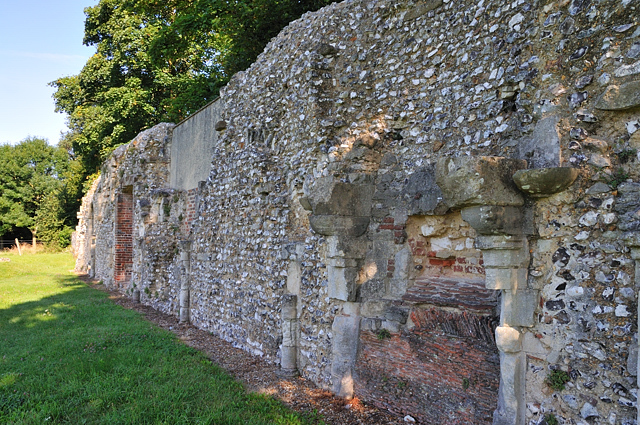 They appear to have prospered and by the dissolution, the priory had gained the manors of Southwick with the rectory, Newland, Hannington, Sutton Scotney, 'Moundesmer,' Preston Candover, 'Oldfishborne,' Farlington with a fishery, Denmead Molens, Clanveld and Aldbourn, Weralles in Dorchester with the rectory, Colmer, Stubbington, Hoe, West Boarhunt, Boarhunt, Harbert and Bury, the rectories of Nutley, Swindon, Portsea, Portsmouth and 'Wanstede,' and lands and rents in Prior's Dean, the city of Winchester and Andover. The prior co-operated with the Kings officials and was well rewarded. Prior Norton received the large pension of £66 13s. 4d. A letter to Lord Lisle of 16 March, 1538, stated that the priory was to be suppressed, and that 'Our Lady of Southwick' was taken down. On 7 April, 1538 the surrender was signed by the Prior, William Norton, and twelve of the canons. James Gunwyn's signature is next to the Prior's. After this the church was pulled down and a house built on the site from part of the remainder, this burned down in 1750, and today little remains, its possible that some parts from the abbey building found their way into the nearby parish church of St James. There are probably a lot more ground remains and other pieces that could be connected, perhaps the pond, that you pass down the path, may have held water for the priory, a drain or culvert or something can be seen coming from that direction, or the lake across the golf course been connected. If you fancy yourself as a time detective this would be a site that could offer opportunities. This was at one point an abbey of some interest and history, that has now generally been overlooked. EH property, but not on their website. This site is not signposted. From the south going up the B2177 that runs past Southwick, turn right at the roundabout towards Southwick. Take a road on the right into North Road or Prinsley Drive, it says it leads to Priory Road. The priory is not near Priory Road, but off the right before you get that far through woodland at the edge of the golf course. You will come to a parking area by a memorial hall, park here, cross the road you came up, and go through a metal footpath gate into woodland. You will then see a sign, not visible from the road, telling you about the priory. Follow the footpath it leads to the priory remains. Probably something around, all I saw was some ducks on a pond of the side of the path. Special Needs Access: Its fairly level for those walking, but through woodland. Dogs Allowed: An area used by many to take their dogs for a walk.